You see a map that demonstrates territory of Russia. You can find here town Baykal'sk free download. town Rechka-Vydrino presented. You can find here town Listvyanka free download. You can find here Baykal download for free. You can find here Vydreno download for free. Utulik presented. Tal'tsy marked. You can find here Solzan presented. Novosnezhnaya marked. Ponomarevka free download. You can find here Nikola presented. You can find here Murino free download. Displayed Marituy free download. Kedrovaya presented. Displayed Bol'shaya Rechka for Garmin. Displayed Angarskiy Poselok for Garmin. 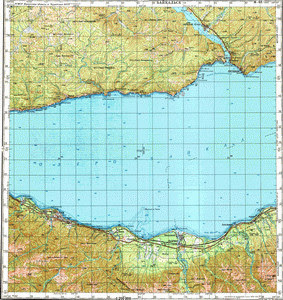 On this map Alanka free download.